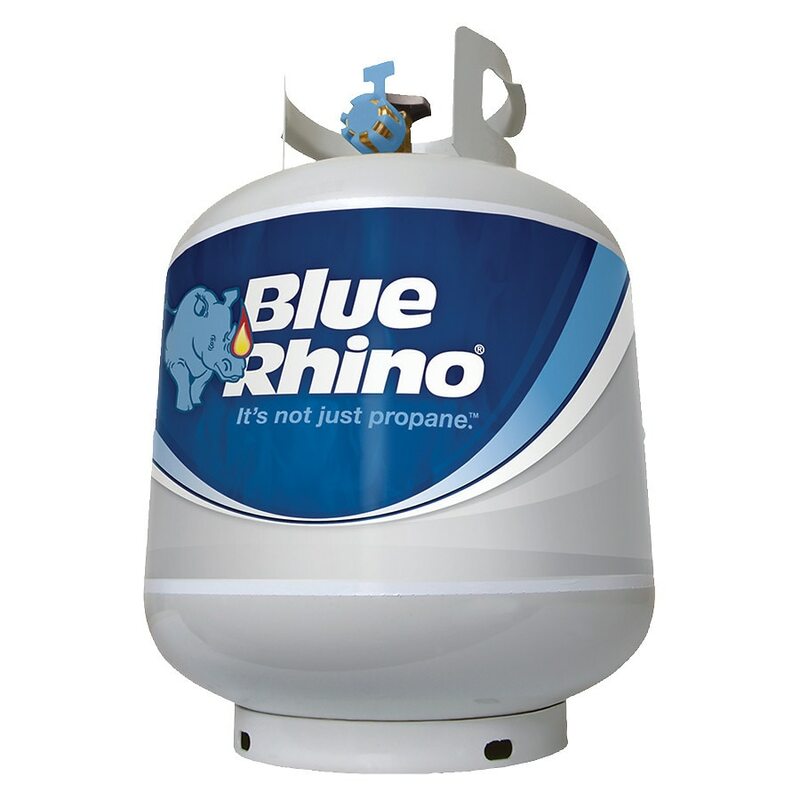 Propane isn't just propane with Blue Rhino®, America's leading brand of propane tank exchange. Every tank is cleaned, leak-tested, inspected and precision-filled. So you can grill with confidence. So take a Rhino home! Do not store tanks in a building, garage, or enclosure. When not connected for use, keep tank valve turned off. When transporting your tank, put it in a secure, well-ventilated location in your vehicle. Tank should be taken directly to and from place of use. Do not leave unattended in any vehicle. Do not use portable propane heaters, stoves, or lanterns in tents, campers, truck caps, RVs, or other unventilated enclosures, especially while sleeping. Never store a spare tank beneath a grill. Always store tanks upright. Never store a tank in temperatures of 125°F or more. Never use or store a propane tank indoors. Do not try to repair or damage tank or tank valve.